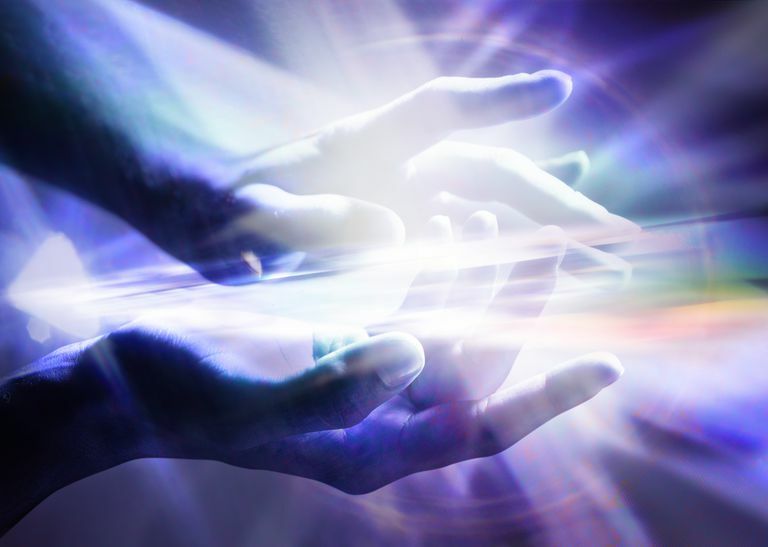 Reiki attunement experiences vary from healer to healer. A warmth or gentle feeling washes over some, while others have an extreme reaction. Anything in-between peace and intensity could happen -- and has been reported -- during the initiation ritual. A collection of stories shared by Reiki practitioners within the holistic healing community demonstrates the experiences a few of their clients report. "My Reiki 1 was a very gentle and peaceful affair. I enjoyed the process greatly and felt 'spaced out' for a few hours, but was fine soon after. "The 2nd attunement was a whole different ball game. As my Guide was preparing me 15 minutes before it began, I felt an enormous presence behind me and a lot of activity around the Crown Chakra. The attunement itself was delightful. I had done a lot of preparation for this attunement and the energy flowed in smoothly enough." "The after effects have been somewhat dramatic. The cleansing process has just about floored me at times. It feels like the dissolution of ego and the emergence of the spiritual self. Emotions are all over the place, up one minute and down the next." R.A. describes having both attunements done on the same day: "Prior to the first attunement, my hands started sweating, which is unusual for me. Then during the Level 1, I saw purple morphing over a sea of black." "During the Level 2, I didn't feel too much, which disappointed me at first. However, several hours later while I was at home, warmth and a tingling sensation filled my whole body which lasted quite a while." "Since attunement, I have been drinking lots of water and cutting my soda intake to a fraction of my regular habit, which is uncharacteristic of me. It's been a month since the attunement and I still constantly have a tingling sensation in my hands, as if they were on the verge of falling asleep." "When my Guide held her hand over my head, I felt the power coming into me. I started to shake a lot -- so much so that I thought I was going into a seizure. In fact, when it was over my Guide asked me if I was epileptic." "The first Reiki attunement was a loving experience, though it was not this completely "wow" moment. My hands were hot and I was able to discern points of concern on my fellow student. I diligently practiced full self-treatment for the 21 days following and beyond. I really needed cleansing as I had developed shingles and a rare skin disorder on top of my fibromyalgia." "I completed level 1 Reiki and had 4 attunements. The experience was wonderful. I saw a few images in the first 2 attunements, including a crystal that, when the course was complete, was given to me by my instructor. I found that very interesting and a confirmation that something was going on." "I did experience back pain during the last attunement. I also saw an eagle the day after and two woodpeckers in my yard. During the last attunement, with eyes closed, my instructor was now a monk during the whole process, and I have not been able to look at her the same way since that." "The night after my Reiki attunement, I saw a body outlined with all the colored chakras glowing. Then a box appeared and the top opened. My teacher said it was a gift from my spirit guide. I have been very tired and feeling flu-like all week. I also got a yeast infection. I feel better when I do a healing so I have been doing one every day. I see a lot of white flashing light and blue and violet colors when I do healings." "My first level Usui Reiki attunement was in the late evening, in person. I was completely energized and the tingling in my palms continued for a very long time. I felt elated and overwhelmed by a sudden feeling of calmness after my Reiki Master attunements." "At the end of my Reiki I attunement, I was sitting in my chair. I felt a light touch on my chest, almost like a hug. Then I felt an incredible force pushing me back into the chair. My head, neck, and shoulders felt like someone was pushing me backward. My chest felt as though there was so much weight on it I was having a hard time taking a breath. I pushed against this so hard, because I knew that if I did not, that the chair was going to flip over backward." "I was told by the Reiki teacher who taught my class that we would likely experience some detoxing or cleansing of our bodies for 21 days following the attunement. The cleansing or purging of toxins can present themselves in different ways. The number of days (21) is symbolic, it may only be a few days or longer than the 21 days." What's the Difference Between Reiki and Healing Touch? Where Are Hawayo Takata's 22 Reiki Initiates Now?